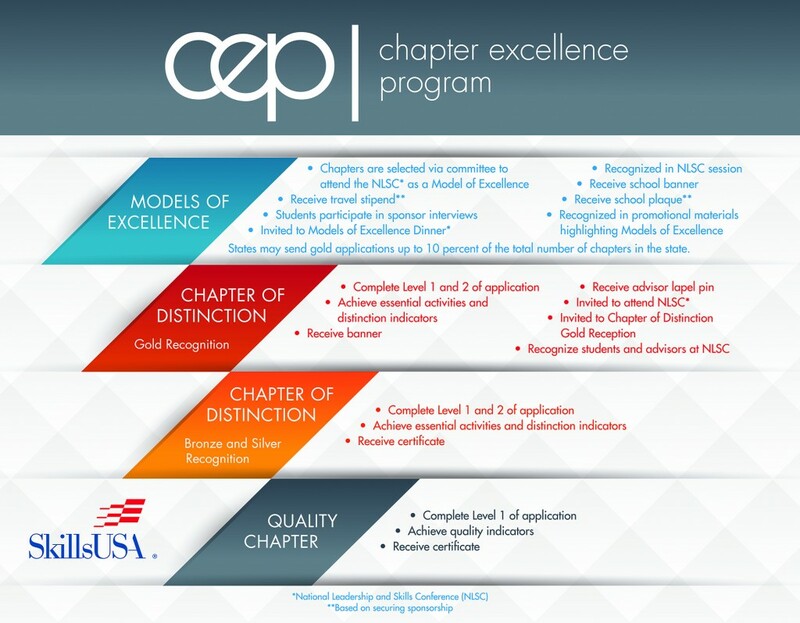 The Chapter Excellence Program (CEP) is the single best way to ensure you have a successful SkillsUSA chapter. The Chapter Excellence Program takes the guess work out of what it looks like to be a healthy SkillsUSA chapter. It provides the requirements and indicators that meet the standards for success and prepares members for career readiness as defined in the SkillsUSA Framework. 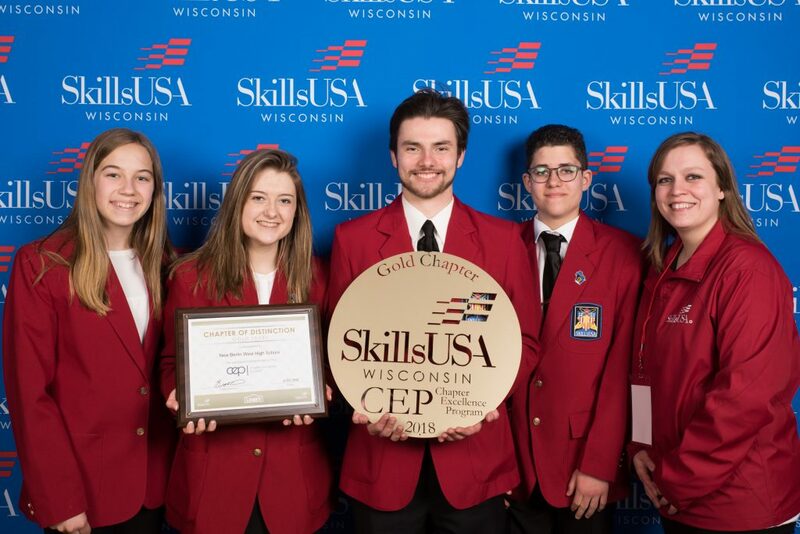 The Chapter Excellence Program honors chapter achievement relative to SkillsUSA’s framework of developing personal, workplace and technical skills. 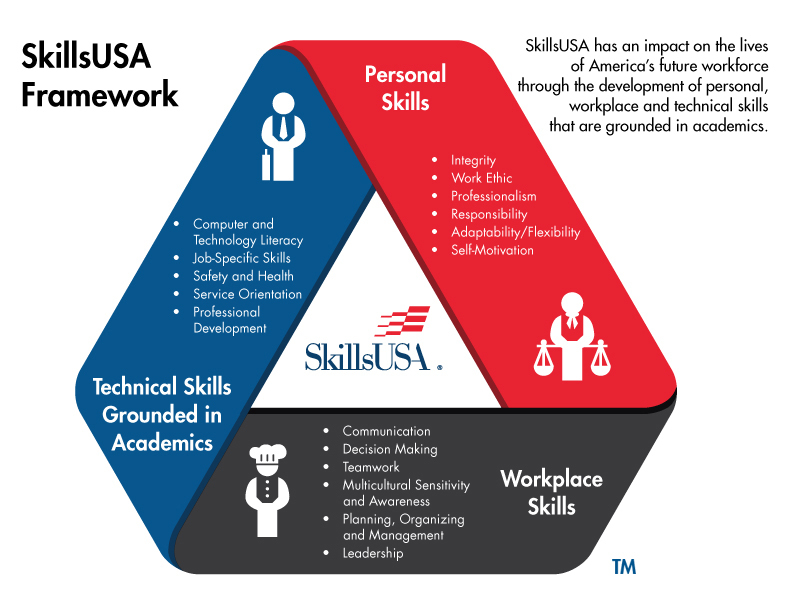 The framework actualizes SkillsUSA’s mission “to empower members to become world-class workers, leaders and responsible American citizens.” It also serves as the blueprint for career readiness — our ultimate goal as an organization. By centering on industry demands, the framework builds the foundation for relevant and intentional student learning and employability skill development. Paramount to framework success is the implementation of an effective program of work — SkillsUSA’s planning tool for chapters. By participating in program of work activities, SkillsUSA chapters become conduits for meaningful student growth. Students take part in the planning, organization and implementation of activities, which develops their skills and builds character. The CEP recognizes these efforts by offering every chapter an opportunity to attain measurable competencies in pursuit of framework objectives. How does my chapter or section get involved? Every chapter or section with paid membership is eligible to participate in the CEP. There is no fee or cost associated with participation. Chapters should participate in the CEP on an annual basis. Most likely, your chapter already has an active program of work, and this is your opportunity to be recognized. The CEP application specifically outlines how chapter success is measured. How does the CEP work? Second Level — Recognizes chapters that go beyond baseline requirements with bronze, silver, and gold “Chapters of Distinction” awards. This recognition is awarded by the state association at a state-level event such as the State Leadership and Skills Conference. All chapters receiving a gold award will be invited to the National Leadership and Skills Conference and recognized alongside the program sponsor at a reception. Up to the top 10 percent of all chapters in each state that receive the gold award will be eligible for selection as a Models of Excellence chapter. Third Level — Honors the very best chapters through “Models of Excellence” awards. These chapters are identified on the national level and define excellence. Best practices will be gleaned from the award winners and shared with the field to serve as models for other chapters to emulate in strengthening their local programs. 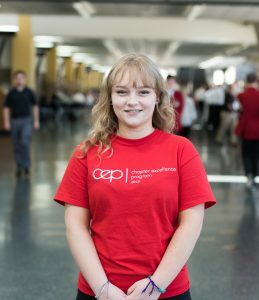 The CEP is focused on the learning and skills developed as a result of chapter involvement versus honoring chapters by the number of activities they employ throughout the year. The award application is written and presented in a manner that supports evidence of these findings. Framework success can only be achieved through student engagement. If you already have a program of work in place and an active chapter, you will find this program challenges you and your students to strengthen chapter activities. If you don’t have a program of work or active chapter, participation in the CEP identifies the specific requirements needed for chapter success. In either case, the CEP requires chapters to evaluate where they are currently and set goals for the future. The biggest step is deciding whether or not to pursue chapter excellence. After that, the journey for you and your students will be about unlocking their personal potential and the potential of the chapter as a whole. What is the most direct way to apply the framework to achieve CEP standards? Keep it simple by breaking it down into a multiple-step process, which is fundamental for any student-led SkillsUSA activity. Select two to three Essential Elements from one Component of the framework that you will be intentional about teaching in relation to the activity. Outline goals that include instilling the selected Essential Elements in students. Evaluate and record results of the activity in terms of developing framework skills in students. The CEP application is straightforward and not intended to be time-consuming for teachers or students. Every application requirement is presented in detail to avoid confusion. To promote efficiency, complete the application online. In addition to making your chapter eligible for Quality Chapter and Chapters of Distinction honors, completing the application has other advantages.